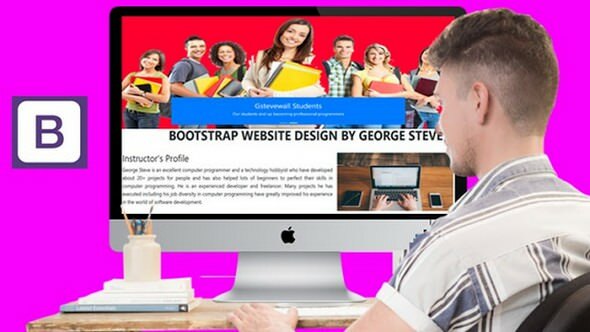 "A complete Bootstrap course with responsive website design" is a course for students who are finding it very difficult to understand how to design their own Bootstrap responsive website by themselves and for students who are new to web development. It is very simple and easy to understand for beginners who have never designed a website before now. The instructor is a very high experienced teacher, software developer and have also worked with some reputable companies. He has also been teaching computer programming since 2014 and have mastered the art of conveying information for better understanding which have made many of his student excel with less stress in computer programming. Students are advised to follow this course step by step so that they would understand it very well because every lecture is filled with vital information which should not be missed. This course was made based on instructors experience in building Bootstrap website to help students excel with less stress.